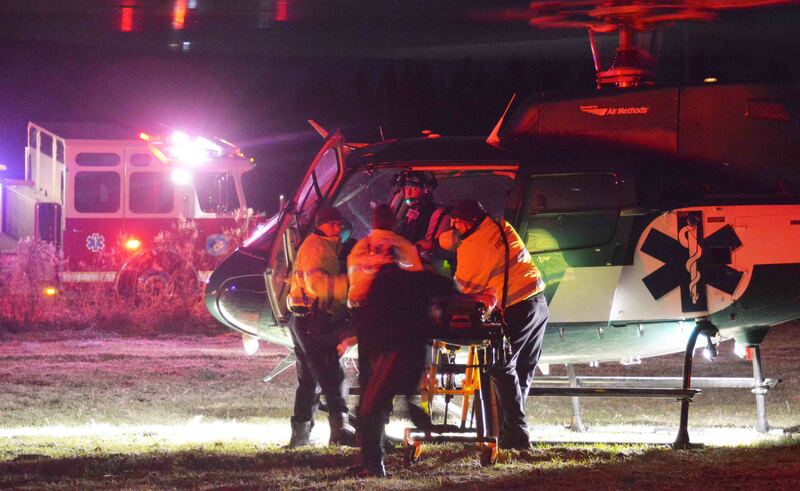 A two vehicle high speed MVC injured four people and resulted in one patient being air lifted to a Trauma Center. The collision occurred in the 4200 block of Charleston Highway at Rodeo Drive Friday morning 27-February at 03:32. One patient advised responding personnel that both cars were east bound when their vehicle struck a deer and lost control. Click here for more information. Our condolences go out to Ms. Keesha Oxner, CCFR Training Division Clerk, whose mother, Charlene Radcliff, passed away this morning at home. Visitation will be held Monday, March 2, 2015 from 18:00 to 20:00 at St Peters Church on Wichman Street (across from the Valero Gas Station). The funeral will be Tuesday, March 3, 2015 at 11:00 at Saint Center Ministries on Colson Street. Please keep Keesha and her family in your thoughts and prayers. An adult man received life threatening injuries after being struck by a car in 1100 block of Rivers Street, Saturday morning 21-February at 02:54. Witness advised a car backed over the man who was standing in the street next to the Apollo Lounge. Firefighter-Paramedics found the man unconscious in the street. Click here for more information. 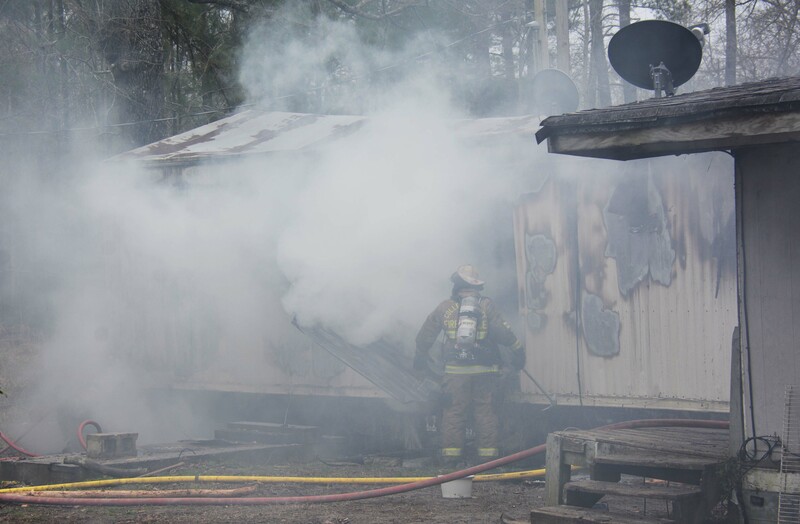 A Peaceful Lane home was heavily damaged by an afternoon fire Monday 16-February. At 14:03, 9-1-1 Operators were notified of the incident by a neighbor. Engine 31 arrived quickly and found a singlewide mobile with an one room addition approximately 50% involved. Firefighters used a deck gun to knock down the bulk of the fire from the exterior, then deployed two 1-3/4 handlines to extinguish the remaining interior fire. Click here for more information. 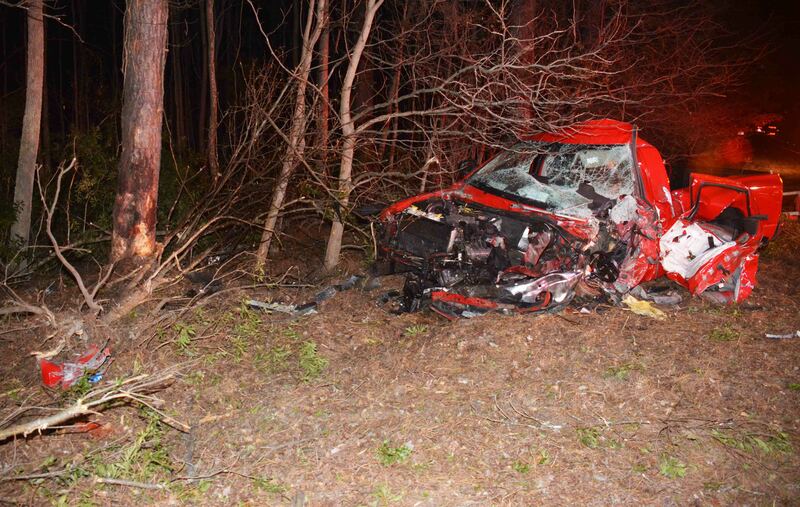 A 67 year old North Carolina man died from multiple traumatic injuries following a high speed crash on I-95 near the 55 mile marker northbound, Sunday morning 15-February. The accident was reported at 02:53, after a motorist reported hitting debris in the highway and noticing something red in the medium. Fire-Rescue units arrived minutes later to find the 2001 Dodge pick-up truck on the left shoulder with massive damage. Click here for more information. One man died and three others were injured in a head-on collision in the 9000 block of Jefferies Hwy. (US Hwy 15) south of Kelly Bay Road Saturday morning 14-February at 05:18. The initial call to 9-1-1 indicated a vehicle was in the ditch with someone possibility injured. Medic 19 and Engine 19 arrived to find a Malibu off on the southbound shoulder with heavy front end damage. Click here for more information. 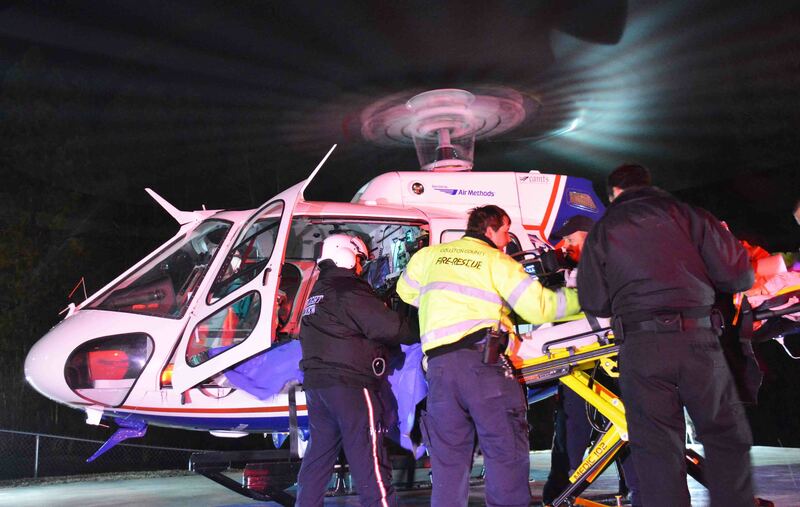 A 63 year old male was flown to the Trauma Center at MUSC following a tractor trailer accident Thursday evening 12-February. At 19:08, Fire-Rescue units were sent to the intersection of Mount Carmel Road and Sigwald Lane for an auto accident. 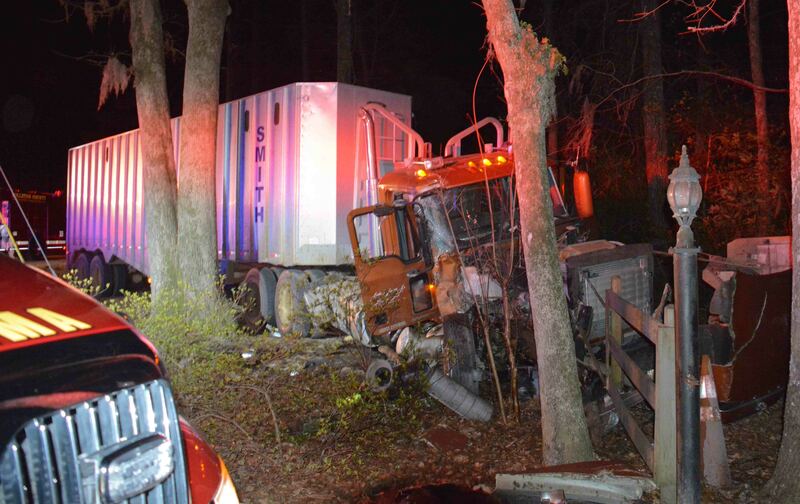 Medic 26 arrived to find a tractor trailer truck that had left the roadway and struck several trees.Click here for more information. 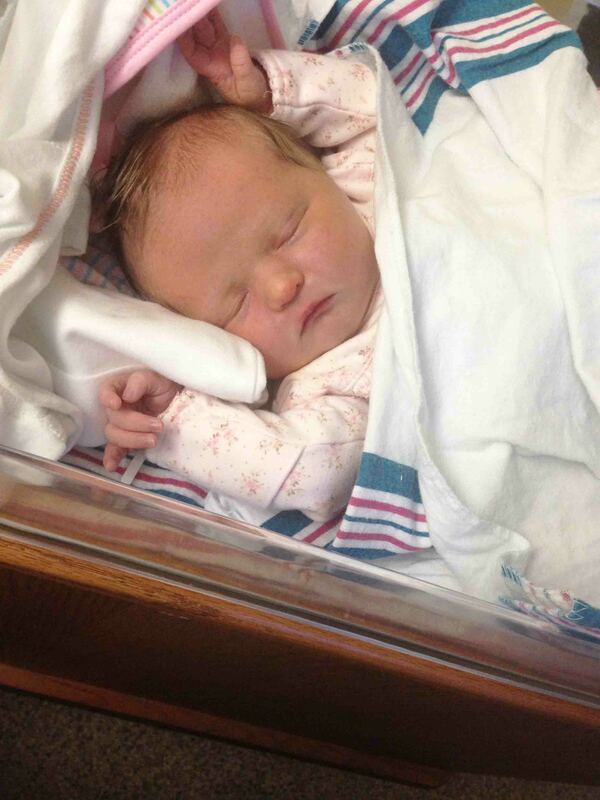 07/February/2015 - We congratulate Captain Bryan Eadon and his family on the birth of a daughter Saturday 7-February. Millie Adele Eadon was born at 04:04 and was 8 pounds, 6 ounces. Millie was 20.5 inches long. Millie, Bryan, Katie and big sister Davyn are all doing great. 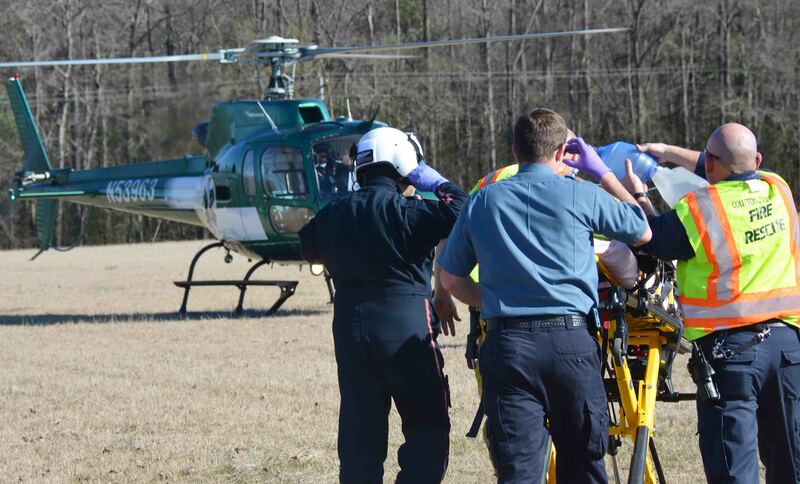 A 58 year old Cottageville man was in critical condition after being ejected from a vehicle Saturday afternoon 07-February. At 15:43, Fire-Rescue was dispatched to the 300 block of Rhode Drive for a high speed single vehicle accident. The west bound car appeared to have dropped off the right shoulder in a curve, over corrected and entered the ditch. Click here for more information. 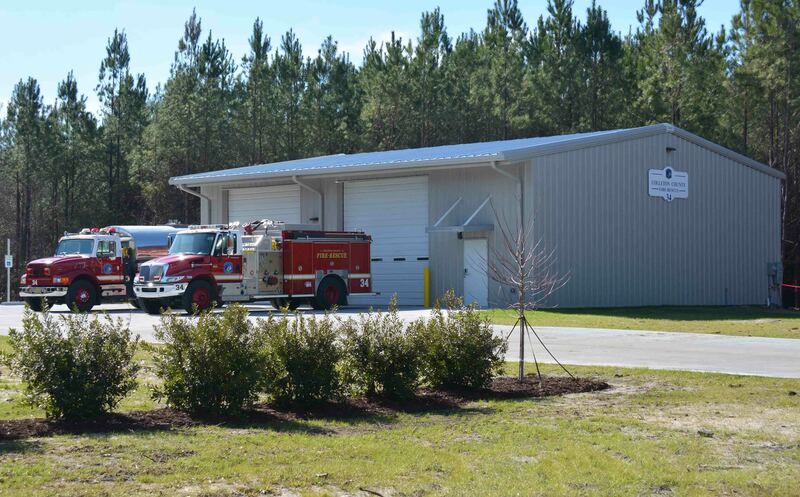 Fire Station # 34 north of Cottageville was placed online last Thursday, 5-February. This new station houses Engine 34 and Tender 34, a 3000 gallon Tender. Residents north and east of Cottageville who have previously been outside of the five limit of a fire station should notify their Insurance Carriers. Click here for more information. 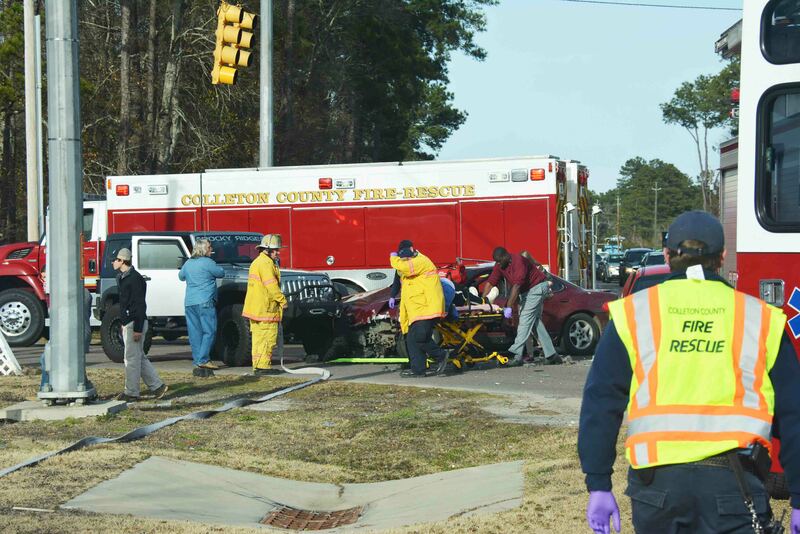 Three people were injured in a three vehicle accident at the intersection of Jefferies Hwy and Academy Road Tuesday afternoon 03-Feb at 15:33. Firefighter-Paramedics had to use hydraulic rescue tools to remove the passenger door of one car to extricate the patient. 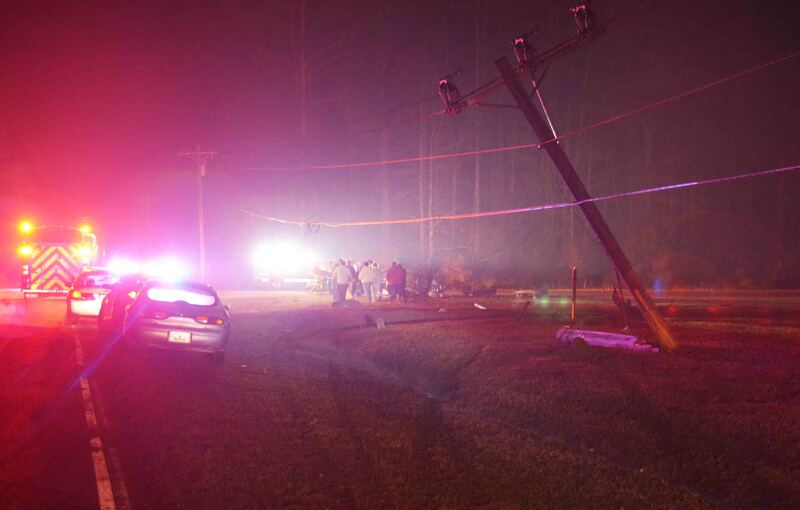 All three injured parties were transported to Colleton Medical Center with non-life threatening injuries. Click here for more information. Congratulations to Firefighter Justin Truluck for obtaining his Advanced Emergency Medical Technician (AEMT) Certification.